Spring has finally sprung! 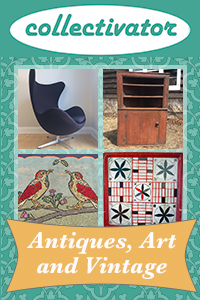 Spring brings Easter and for those of us who love Canadian antiques, Easter also brings the Bowmanville Antiques and Folk Art Show. Bowmanville is considered a top destination for early Canadian antiques. It’s a vetted show, meaning that all items for sale are checked for authenticity before the doors open. You can be sure you are seeing premiere Canadian country furniture, pottery, textiles and folk art at Bowmanville. The Bowmanville show has been held on Easter weekend (Friday night and Saturday) for many years in Bowmanville, Ontario (a short drive from Toronto). My parents used to attend as dealers and even as a teenager I knew Bowmanville was special. People would line up to get in right at 6pm on Friday. When the doors opened the hall would suddenly be charged with voices and movement as collectors shot from booth to booth – sometimes making purchases in minutes. This year we arrived ten minutes after doors opened but yes, people had still lined up, and when we entered the room was crowded and noisy. The crowd was mostly older, probably long time collectors, but I was encouraged to see a few younger faces as well. Bowmanville is a show that serious collectors who love this type of antique wait all year to attend. The dealers are top quality and they bring out their best. This year the show also featured a selection of (not for sale) antique Canadian trade signs, displayed in the entrance hallway near the washrooms and doors. It was a great use of the space, and a welcome addition. People often talk about educating buyers and I would love to see all the shows embrace more exhibition and guest speakers. We spent the first hour hustling from booth to booth, saying hello to friends (many of the dealers regularly post their stock on Collectivator), and seeing what we might be able to take home. The crowd made photography a bit difficult, but dealer Adrian Tinline kindly let me copy some of his pics taken right before the show started. These pics are from the popular Canadiana Facebook page, a great hub for Canadian antique enthusiasts. As you can see, the booths at Bowmanville looked amazing. The huge effort the dealers put into showcasing their stock is always a treat in itself. As with every year I’ve attended Bowmanville, there were a few missed buys. A few years ago it was a tobacco cutter. This year it was a small blanket box. In both cases we hesitated and walked away, and both times the item sold by the time we reconsidered. Let this be a lesson – don’t hesitate if you know you want something! This year we were able to quickly pull the trigger on a folky parrot shelf from Wendy Hamilton Antiques and a lovely green tramp art mirror from Croydon House. Our dining room has a “tropical” theme, with antique furniture and folk art mixed in. The shelf obviously fits and looks great on the yellow walls. I may use it to hold a selection of my vintage tiki mugs. The mirror is still looking for the perfect spot but this beautiful small object will compliment any room. The Bowmanville show is expertly run and from what I saw there were healthy sales this year. Mostly smalls, as is the general trend, but some outstanding large pieces of farm country furniture were marked “Sold” in the first hour. I encourage anyone to attend Bowmanville, even if it’s just to see some museum worthy examples of our material heritage. Many items are priced reasonably, especially for the quality. You will find beautiful, interesting and rare objects in every booth, and that makes Bowmanville an exciting destination for any antique and folk art enthusiast.